The Nordic House Library is a public library where everybody is welcome. The library opened in 1969, one year after the official opening of the Nordic House. The library only contains books in the Nordic languages by Nordic authors, except there are no books by Icelandic authors in Icelandic, only translations of their works to other Nordic languages. You can also find e-books in Leitir.is and go from there to the Nordic House e-book library to log in. The borrower needs to have a valid library card and a PIN number at the Nordic House library. You log in with the barcode number (GE number) on the library card and a PIN number. You can borrow one book a week, download an e-book, or get access to streaming audiobooks. The borrowing time is 28 days, and the access is closed after that time. Access to and borrowing of e-books and electronic audiobooks in Swedish started in April 2011 through the e-book service Elib, but there was a pause in the service between 2015 and 2016. The access was again opened at the beginning of 2017. The plan is to collect a larger collection of e-books in other Nordic languages. An e-book is a book that has been transferred into an electric medium so that you can read the text directly from your computer, laptop, smartphone, or special reading tablet. The electronic audiobook plays directly through the internet. The audiobook does not save to the hard drive. You can‘t listen to the streamed audiobook on your MP3-player. You can read e-books from Elib on tablets which use the EPUB format. This includes most tablets, except Kindle, see. The library is open all seven days of the week. Everyone 18 years or older can become a library user. A library card costs ISK 2000 and is valid for one year. You can borrow books, audio books, magazines, and music for a 30 day period. You can borrow films for a week. You can borrow graphic art for three months. If books, audiobooks, magazines or CDs are overdue, you pay ISK 10 per day per item and ISK 30 for DVDs and graphic art. If library material is lost or damaged, you pay damages in accordance with a special penalty list. 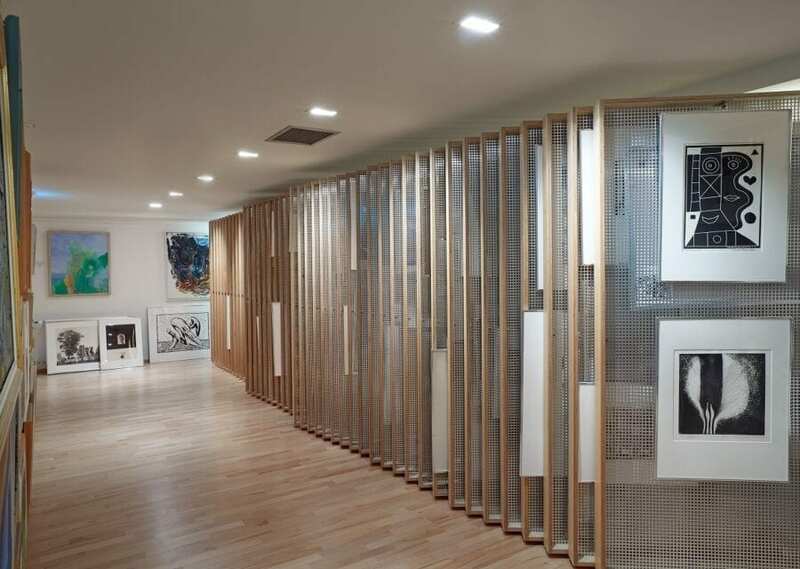 Artotek or the Art Library of the Nordic House was established in 1972 when the Northern Graphic Union donated 200 graphic artworks by Nordic artists to the Nordic House as a foundation for an art library. The obligation was that the library users could borrow art in the same way as books and other material. Borrowing art began in 1976, was considered a great innovation and became very popular. New works are constantly being added and the art library now has more than 500 artworks. Registered borrowers can borrow 3 graphic artworks at the same time for a 3 month period. The Children’s Library Grotto contains novels and technical books for children in all seven Nordic languages. During the winter the library arranges storytelling hours for children in Swedish, Finnish, Norwegian, and Danish. 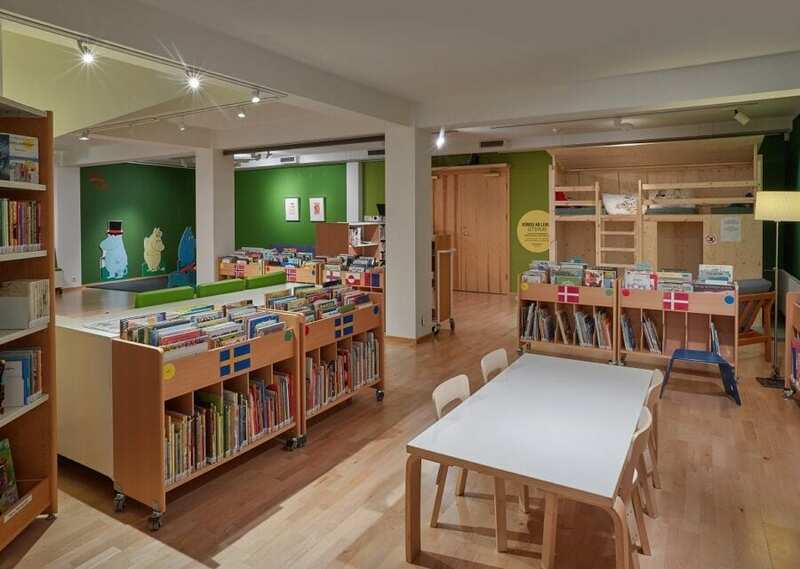 Kindergartens, primary schools; other groups can also book visits to the Nordic house and its library.